The Kleen Test Products Pharma-C-Wipes 3% Hydrogen Peroxide Wipes are used by healthcare nurses and facilities such as those in urgent-care fields, or by parents and caretakers just looking to treat a wound. When it comes to treating a cut, the first thing to do is clean the area damaged, from dirt and bacteria. 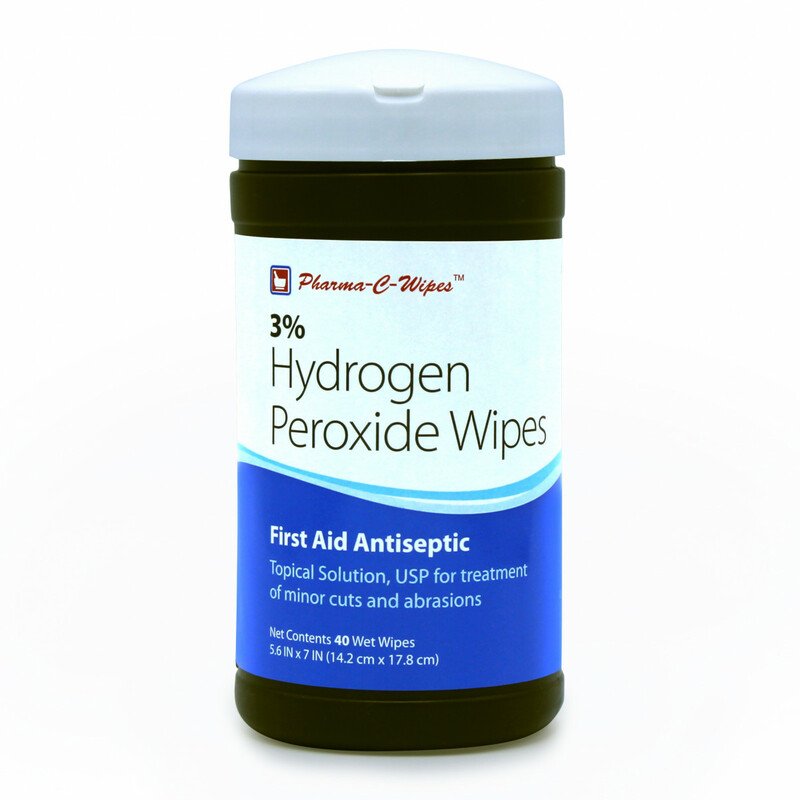 The wipes which are infused with a low dose of hydrogen peroxide are able to be taken quickly and used to wipe the area clean. The Antiseptic Pharma-C-Wipes 3% Hydrogen Peroxide Towelette is packed in a canister to make it super easy to treat wounds with one hand. 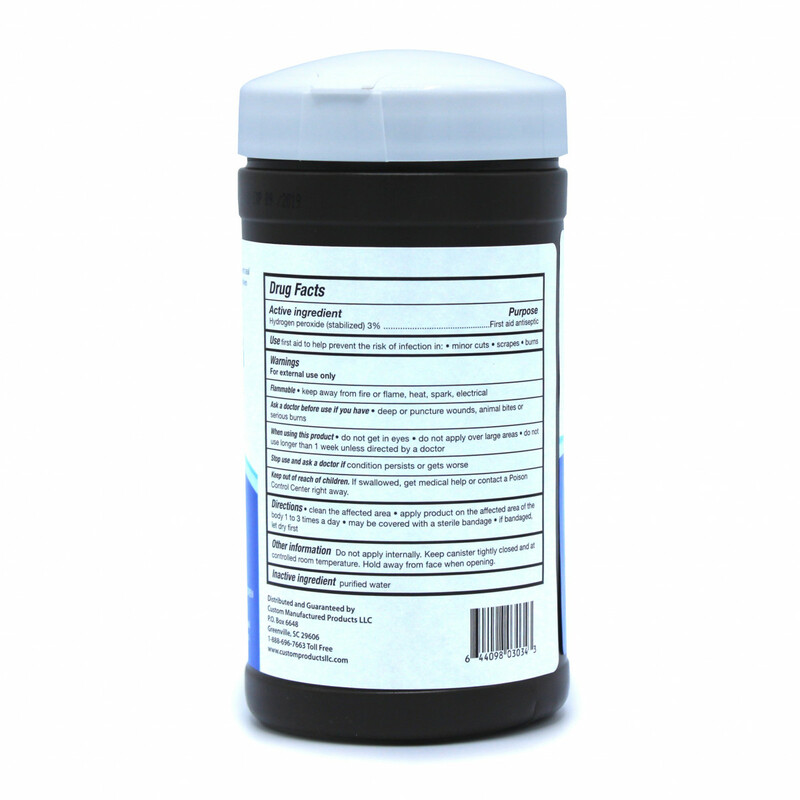 The wipe is used as antiseptic options instead of that of solutions such as the Lantiseptic Foam Cleanser which only provides the foam and no wipe-off material. Provided in towelette form, the wipe has many uses of which it can be utilized in medical facilities to prep patients for small surgical procedures, or just a simple first-aid kit. You will see that most all first aid kits will include a form of antiseptic item, be it a wipe or foam solution. No first-aid kit is complete without these types of wipes. Continuing to treat the wound without cleaning it first can result in bacteria growth on the wound which will cause a whole new set of problems. Used by many and thought of by few, it is important to take into account an antiseptic wipe, you may unexpectedly find yourself in need of one with no option available. Be ready and be prepared for those surprises.